RT: Looking back at all your career what was the era that you were most proud of? 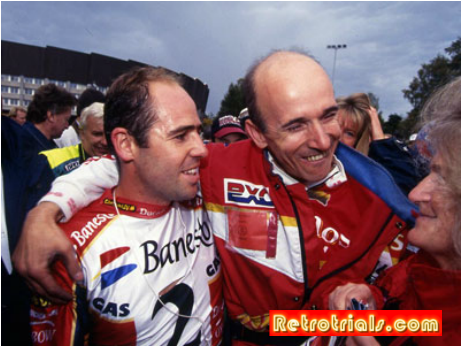 P: I must say that I have always been happy because I have done what I have enjoyed and with total freedom and without any ties, but if I had to choose a moment I would go for the world championships won but Jordi Tarres. I have always enjoyed the world of competition and being in charge of teams because you don’t have the restrictions imposed by manufacturing, I have always been free to do and try new things. 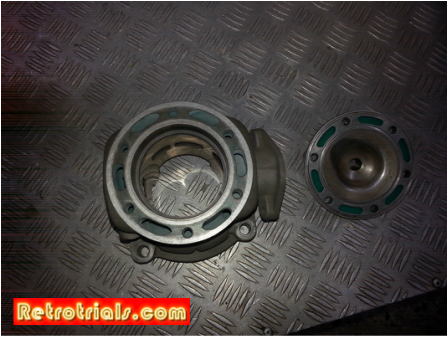 These photos show a taste of some of the modifications that Paxau was working on. 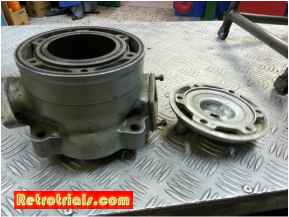 The 1989 mod on the air cooled porting has obviously proved popular and has been transferred over onto the barrel of the later watercooled model. Thank you Josep Paxau from Jordi Tarres. 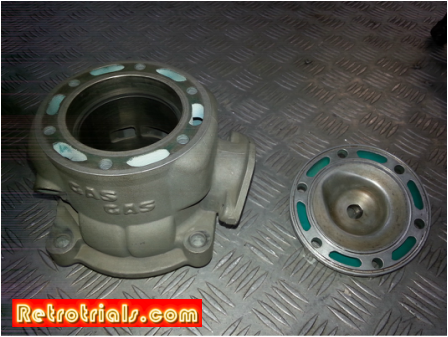 Tarres relied heavily on Paxau to refine his machine. It wasn't just his engineering skills that sought Paxau favour. His steady calm nature helped calm and reassure riders who were convinced something was not working correctly or badly set up. Not surprisingly placebo's were occasionally used. 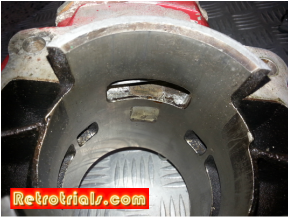 This is the actual cylinder head and barrell from Jordi Tarres' 1995 World championship winning motorcycle. RT: How many people are in your workshop and shop? 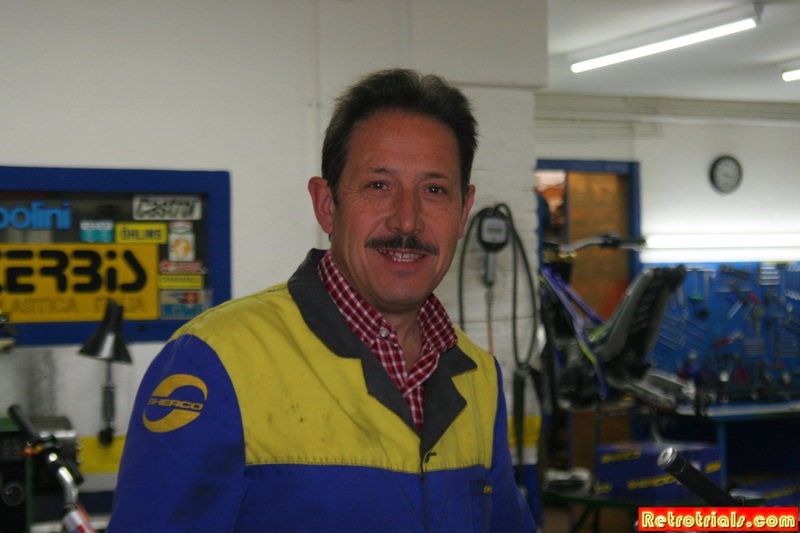 P: In the workshop there are 4 of us, my wife Aurora, the mechanic who has worked there from the start, Pere who started with us as an apprenticeship within 3 months of opening the shop and a girl that helps us. 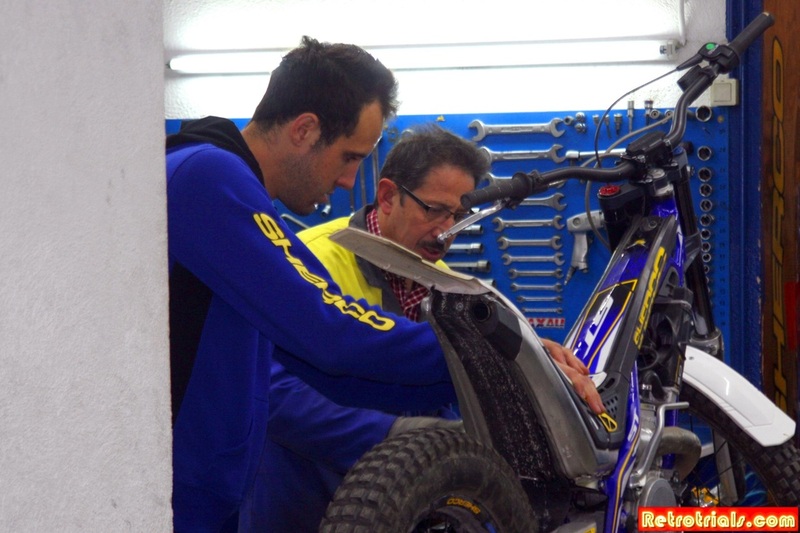 But when there are competitions the mechanics come to our workshops to prepare the bikes. Aurora Paxau and mechanic Pere Vilageliu . Pere has worked with Josep Paxau in this workshop since the start. 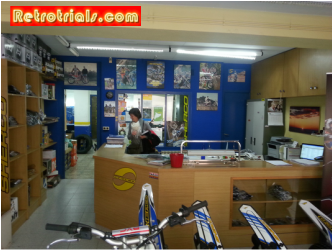 Pere is credited by people in the industry as over the years being one of the steering forces trials bike design. 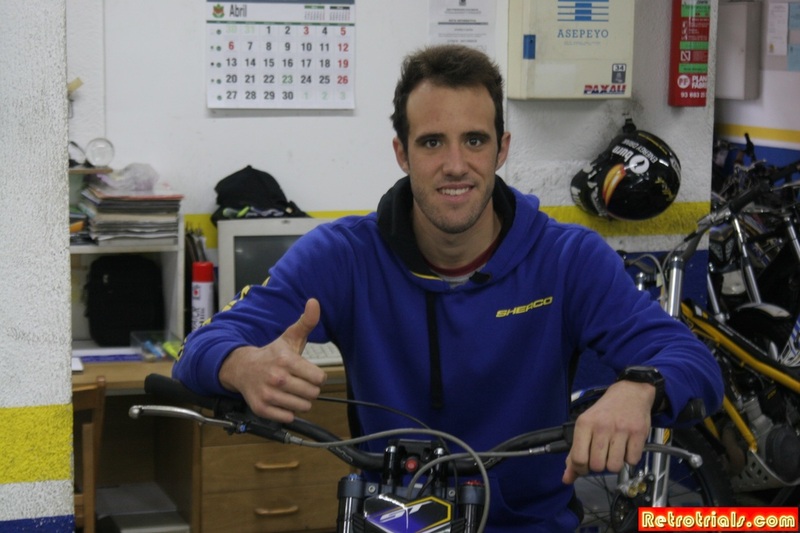 Pere riding - GasGas of course :). 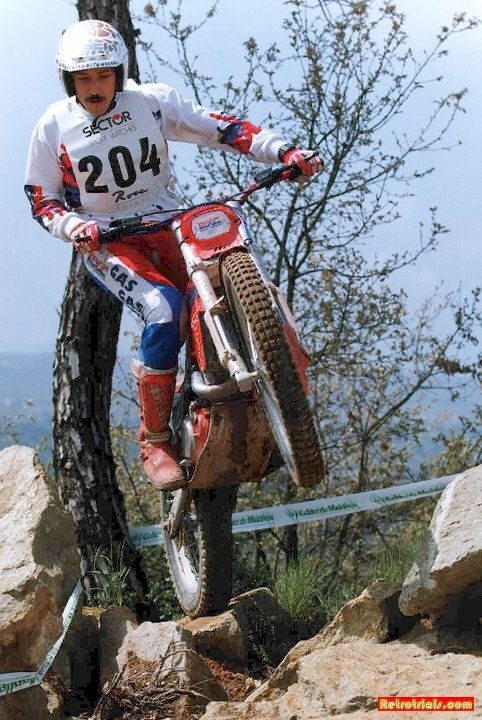 ​RT: Have you ridden in any Spanish trials championships? P: No, my strength has always been in preparing rather than competing, although I ride nearly ever weekend when there are no competitions, or I don’t go hunting or I don’t fly, these are my other hobbies. 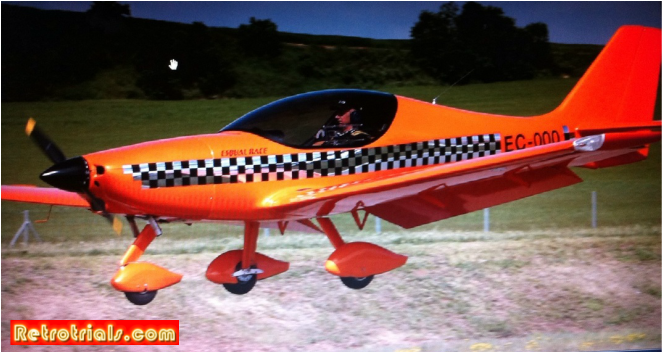 Josep Paxau is a keen hobby Pilot and is also a capable trials rider. 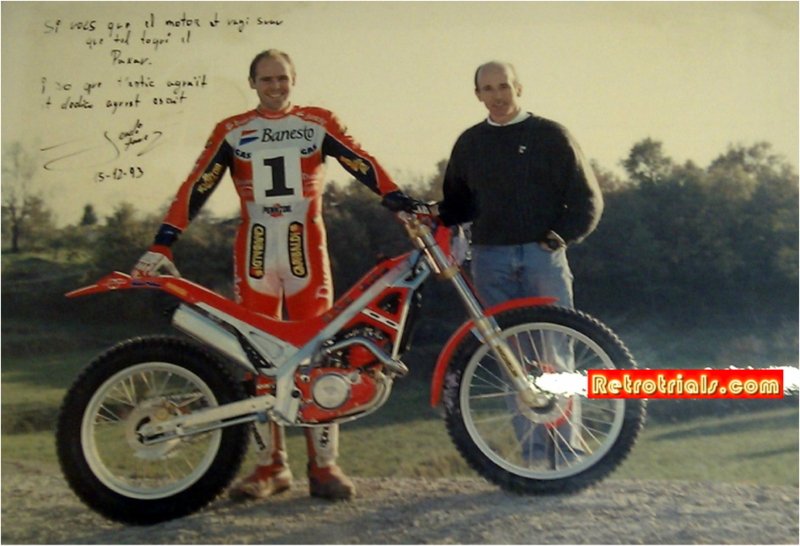 Here he is riding the first new Bultaco in 2000. 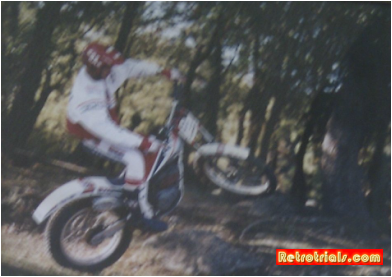 These 2 photos show Pere riding . GasGas of course . 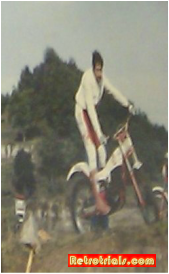 ​I rode motocross many years ago. I remember that one day I visited the Puch factory, they gave me two 50cc motorbikes, I prepared them for me and built the rest the frame the wheels, suspension, etc. I really enjoyed it. 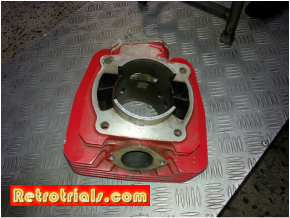 Later on I changed it to 80cc and did a double carburetor. Nowadays none of this is done, everything is developed with 3d and you can see if it fits and how all the elements are arranged. Then you move on to a quick prototype with 3d plastic printers and even aluminium ones.